Since Renata and I turned into Thanksgiving sun-seekers in 2007 with our first trip to The Dominican Republic, we have returned to that island country five times (the two exceptions were visits to South Florida in 2008 and Myrtle Beach in 2010) and have always had a blast enjoying their beautiful beaches, attractions and of course the convenience of the all-inclusive factor of their hotels. Over those trips we have seen the Colonial District of the capital city of Santo Domingo, the rustic beauty of Isla Saona (at the time, electricity had not arrived there yet), the simplicity of its small coffee and chocolate-producing farms close to the National Park of the Haitises, a real cigar factory and of course the opportunity to do some horseback riding, relaxing and decompressing from our busy New York lives. 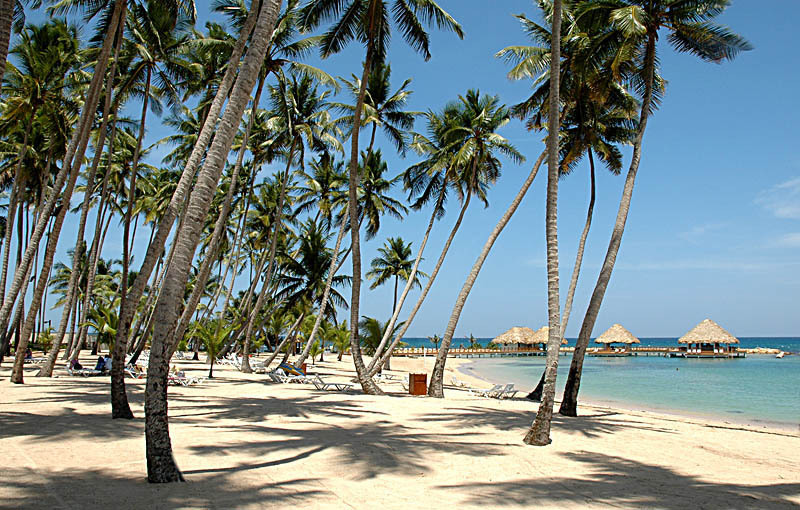 As on most of our trips, we chose to stay at the Barcelo Capela resort in the Juan Dolio area, a small town located about 30 minutes from Santo Domingo airport. Even though people insist we have to go to Punta Cana, higher prices there have kept us away (at least when it comes for a short four-day weekend). After spending much of Thursday enjoying the nice weather and the beach (and also checking out the hotel’s gym , which was in a sad state of abandonment), On Friday afternoon we took the time to explore the village. We were delighted with the changes we saw – over the years since our first visit, Juan Dolio has evolved greatly into a convenient town full of little surprises, such as a tiki bar close to our hotel and a very varied supermarket with lower prices than the small touristy shops we had encountered before – Juan Dolio no longer caters to visitors alone, but to its growing community of local residents. We really had a nice treat on this trip: we were finally able to connect with Paola, a former student of mine who lives in Santo Domingo. We were unable to meet during our previous trips because she was either out of the country or busy at work, but this time we were able to plan in advance and plan a day together. As we browsed the village on Friday, I called Paola on the phone to make plans our long-delayed meet. I told her that I didn’t want to visit any particular attractions – I just wanted to see the Santo Domingo that tourists do not usually get to go to – how about spending a day through her eyes? She quickly agreed, and on Saturday morning she picked us up at our hotel and we drove directly to the capital (I presented her a bottle of New York wine in gratitude). As we made our way to Santo Domingo, we caught up a bit and also briefly talked about the recent controversies in the country such as a court decision that limited citizenship to Haitian descendants and the reaction over the appointment of James “Wally” Brewster to the position of U.S. Ambassador to the country. The issue is that Mr. Brewster is not only openly gay but also married, and he arrived in the country with his husband by his side – something that has ruffled quite a few feathers among conservatives and religious leaders there. 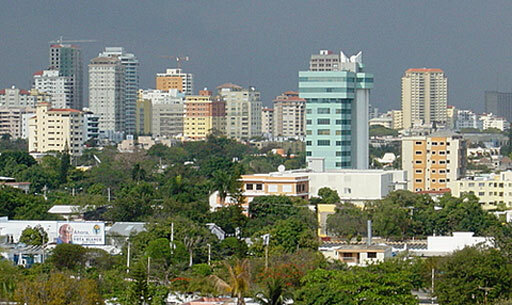 The Dominican Republic’s capital city is very similar to my Brazilian hometown of Fortaleza in many ways – not only the great climate and vegetation but also on a cultural level. Streets are filled with carts selling local fruit (especially coconut water), and at every light peddlers tried to sell everything from avocados, brooms and nuts – and then there were the annoying squeegee men throwing dirty soapy water on your windshield. Looking around, I couldn’t help but notice that the residential buildings are built almost like the ones seen in Northeastern Brazil – most have balconies and are painted colorfully, and all homes in the more upscale areas are also shielded from outsiders by tall walls and huge gates. 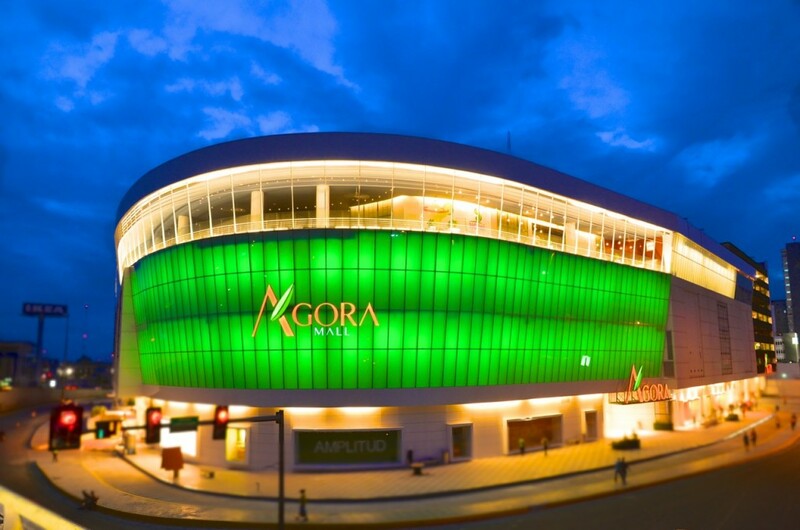 Our first stop was Agora Mall (Av Abraham Lincoln, Santo Domingo de Guzman), a major shopping mall in the downtown area of Santo Domingo. It is a multiple-level shopping center that features well-known brands, a food court and a supermarket. On the bottom floor there was a gigantic Christmas tree, where we all took pictures together after having some strong coffee at Café Santo Domingo, their largest coffee company that also has Starbucks-like stores around town (but they do serve espressos spiked with liquor, so take that ubiquitous mermaid!). The mall holds a special Christmas season event called “Mercadito de los Sábados” in which local artisans, food vendors and small business owners that sell a variety of arts, crafts and typical foods. I was quite impressed by a winemaker who creates delicious wines made from various fruits and also corn – I tasted that varietal and it was very similar to Riesling – a few sweet notes, but mostly dry and perfect when enjoyed a bit chilled. I immediately picked up a bottle (it cost about $ 8) and will be saving it for Christmas. We browsed through the other brands and tasted a few delicacies, and then headed to the artisanal section, where we purchased a small Christmas tree handmade from recycled materials ($3) and whose proceeds were donated to charity. After looking around for a few more minutes, we went to the Jumbo supermarket in the Megacentro to stock up on rum, coffee and chocolate. Prices there were much lower than in Juan Dolio, so let’s say our liquor cabinet has been quite well replenished. Following the shopping trip we headed for lunch at Adrian Tropical (Av 27 de Febrero 429, Santo Domingo de Guzman N/A), a local mini-chain that features Dominican specialties like mofongo (a plantain-based dish usually served with pork and garlic), fried meats and other dishes. We sat outside and ordered our drinks as we browsed the menu. Paola had the “mini-mofongo integral,” (an alternate vegetarian-style take on the local dish). I went with the “chicha pollo” (bite-sized garlic-rich chicken pieces served with boiled yucca and sliced avocado) while Renata chose a tropical chicken salad. Service was kind of slow (being a New Yorker, it’s always slow when I’m out of town), but when the food arrived both Renata and I felt quite overwhelmed as the servings were quite large, and we ended up taking it back to our hotel in a doggie bag. It was then time to head back, and we were stuck in traffic for quite a while because of an accident down the highway. We stopped at the airport to pick up a friend of Paola’s who had just come back from a Thanksgiving trip to South Florida, and then we all chatted happily as we made our way back to our resort. We said our goodbyes and felt grateful to have had a day like this. The half-day of Sunday we had left was mostly spent soaking up the sun, drinking Presidente beer (the largest local brand, recently taken over by beverage giant InBev) and buying a few souvenirs. By noon we were on our way to the airport to catch our return flight home. It was as always a great break from everything. 2. Stir while adding the tomato paste until the tomato dissolves. proceeding, bear in mind that the rice will absorb some of the salt, so don’t low-ball it). 7. Wait 15 minutes, uncover, add the remaining oil and stir. boiling water before stirring and covering.